Birthdate : 23rd Zilhaj 1177 H. - 1765 AD. Date of Wafaat : 18 Jamadil-Ukhra 1213 H. - 1798 AD. 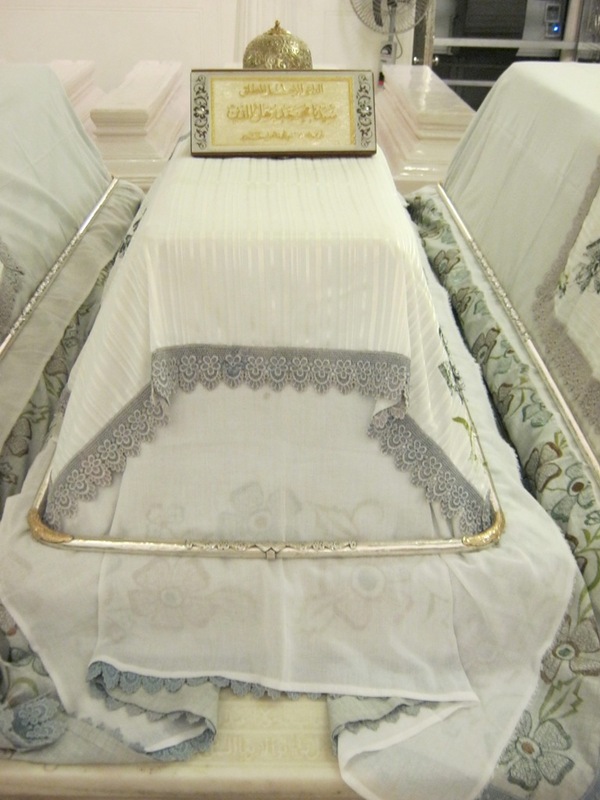 Syedna Yusuf Najmuddin(RA) ascended the Arsh-ud-Dawat at the age of 23 years. He brought about radical changes in the working system of Dawat. Laeen Majdu started fitnat in his tenure and harassed mumineen very much. Syedna (RA) had to strive hard to deplete his effect, and the enemy was ultimately humiliated. 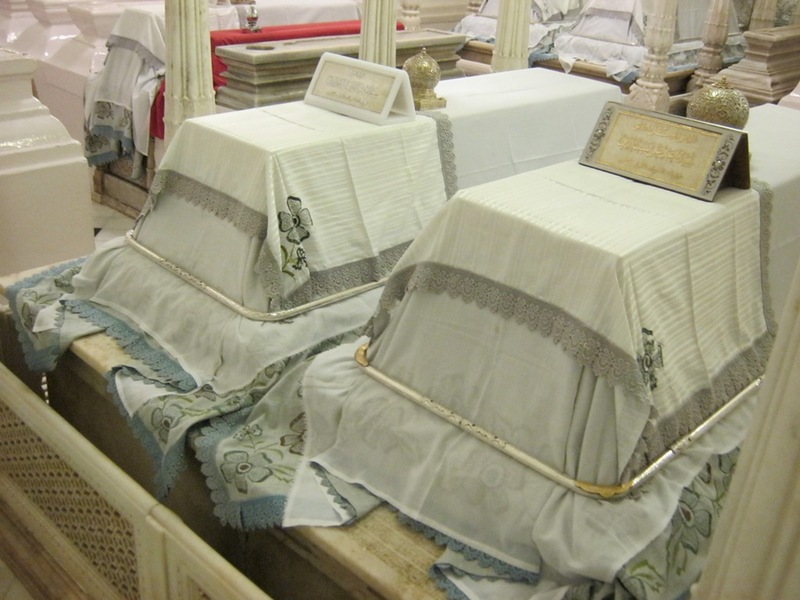 After the wafaat of Syedna Abdul Tayeb Zakiyuddin(RA) (41st Dai), Syedna (RA) stayed in Burhanpur for sometime. He visited many villages where mumineen were residing. In 1209 H He visited Surat and settled there. The seat of Dawat shifted to Surat, after a span of 264 years, and after remaining in the Indian cities of Ahmedabad, Jamnagar, Mandvi, Ujjain and Burhanpur. He travelled to Jamnagar and Ahmedabad and repaired the Qabr mubarak of the Duat Qiraam(RA) that were destroyed by Aurangzeb in Ahmedabad. His was a very generous nature. During drought, he helped mumineen and during the flood in Surat, he distributed food grains to mumineen. He also financially assisted all those who had lost their houses in the flood. He calledSyedi Abdul Qader Hakimuddin(QS) and Syedna Abdeali Saifuddin(RA)(43rd Dai) and imparted 'Ilm'(knowledge) to them. 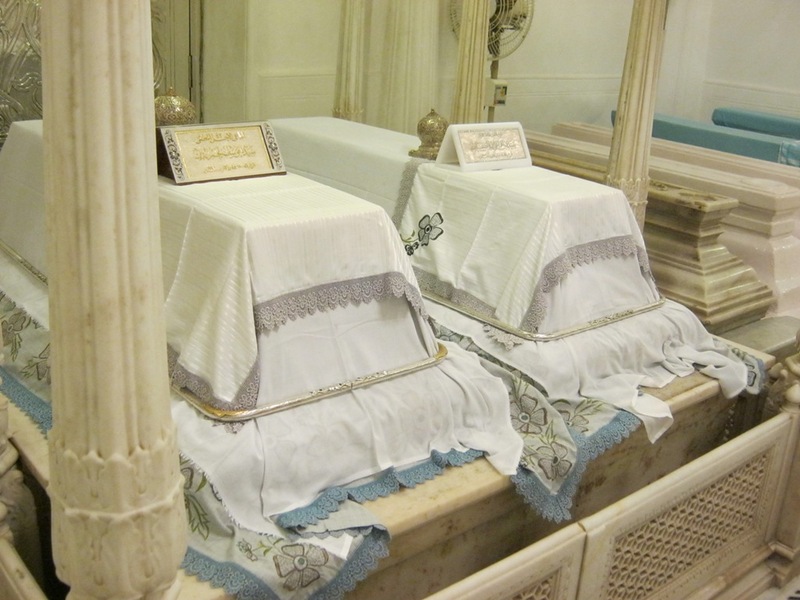 He willed his Qabr Mubarak to be made next to Syedi Lookmanji bin Habibullah(QS). He appointed Syedna Abdeali Saifuddin(RA) as his successor and declared nass upon Him. Birth Date: 9th Safar 1189 H.
Date of Wafaat : 12th Zilqad 1233 H.
Syedna Abdeali Saifuddin(RA) is known as "Moiyyed-e-Asger" because of his extensive work in the literary field and the vast number of 'Qasidas'(Islamic poetry) written by him. 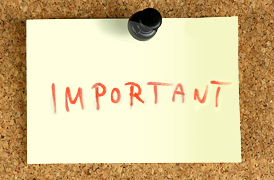 He erased the wrong notions that Majdu had spread about Imaan and got the mumineen back on the right path of Imaan. He succeeded as Dai at the age of 28 years. Many 'Taameerat' (constructions) were done in his era. Amongst them is Al-Masjid-ul-Azam which was funded by his personal wealth and the famed Al-Darsus-Saifee which was later renamed as Al-Jamea-Tus-Saifiyah by Syedna Taher Saifuddin(AQ). His zamaan witnessed many scholars who wrote books on many subjects which are still astutely referred to) and which were written under his guidance. In 1228H, Jamnagar and Kutch fell prey to severe drought. 12,000 mumineen migrated from there and came under his shelter. Syedna(RA) looked after them for one year and helped them to become self-reliant. He did nass on Syedi Abdul Qadr Hakimuddin, but he expired. He was grief-stricken. The 'munafeqin' started taunting him that the person you had so proudly appointed and were counting on has passed away. Whom will you turn to now? He angrily retorted that it was not for him to worry but Imam-uz-Zamaan would guide him spiritually and he would do as he directed. His son, Syedna Mohammed Badruddin, was born in the year 1232 H. The nasihat "Ilm na Moti Jaro" was written for him by Syedna(RA). He took ill after that and on the 7th of Zilqad, he called the Hudud Kiraam and did nass on Syedna Mohammed Ezzuddin(44th Dai) in their presence and later passed away. Birth date : 1203 H. - 1789 AD. Wafaat : 19th Ramazan 1236 H. - 1821 AD. Period of Dawat : 3 years, 10 months, 6 days. 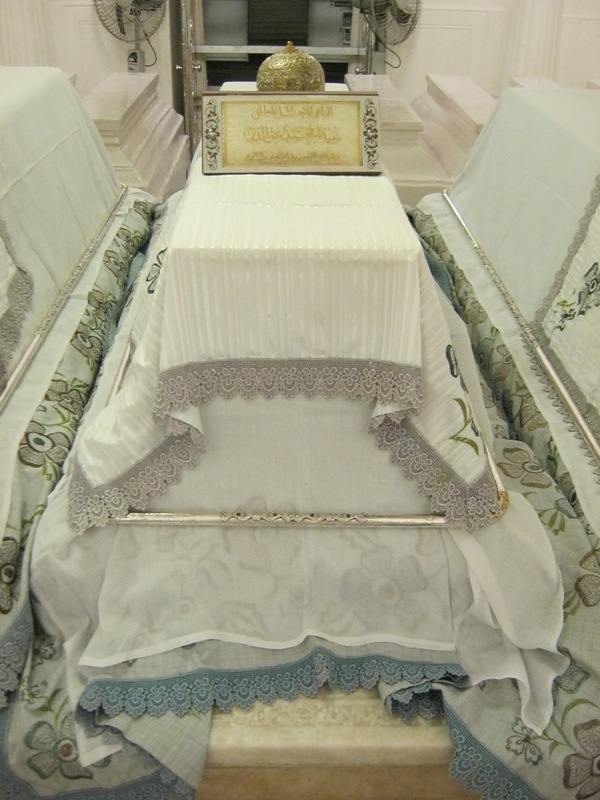 Syedi Shaikh Jeevanji had served the duat with great devotion and sincere dedication, and as a reward, Duat Kiraam have been born in his lineage of which His Holiness Syedna Mohammed Burhanuddin(TUS) is the eighth amongst them. The first in this line of Duat is Syedna Mohammed Ezzuddin(RA). He, alongwith his brother Syedna Taiyib Zainuddin 45th Dai, came in the presence of Syedna Abdeali Saifuddin(RA) to attain 'Ilm'(knowledge). After the wafaat of Syedi Abdul Qader Hakimuddin(Surat), Syedna Abdeali Saifuddin was spiritually guided by Imam-uz-Zamaan to pass on the nass to Syedna Mohammed Ezzudin(RA) and Syedna Taiyib Zainuddin(RA). Syedna Abdeali Saifuddin personally educated Syedna(RA), and was very rigid in his training. Once he asked him to go to Mumbai secretly, so he left immediately without informing even his family. He was asked to travel and spread Imaan be it rain or dry. He succeeded as Dai at the age of 29 years and according to the will of Syedna Abdeali Saifuddin(RA), made Syedna Tayeb Zakiyuddin the Mukasir. He got the knowledge that some mumineen invested in Insurance and lotteries, he called them and asked them to get rid of these nasty habits. He bought some plots opposite Qubba najmiyah and got them cleared. After his wafaat, his qabr mubarak was made in the same place. Birth date : 16th Zilhaj 1198 H. - 1784 AD. Date of Wafaat : 16th Zilqad 1252 H. - 1837 AD. He had approached the holy presence of Syedna Abdeali Saifuddin(RA) even before Syedna Mohammed Ezzuddin(RA). Syedna Abdeali Saifuddin(RA) was very fond of him and trusted him with the confidential and important work of Dawat. He became the Dai at the age of 38 years. In 1238, there was a massive flood in Surat, and he supported the families of all those affected. His advice was respected and always acted on even by non-mumin ministers of state. He was a member of the Governer council of Bombay state. In 1239, he visited villages where mumineen resided and they served him with great devotion. When he went to Mandsaur, the enemies there burnt with envy and started a 'fitnat'(subterfuge) from there. They also attacked him physically. But Allah Ta'ala protected him and mumineen and the enemy was defeated. The British rulers sent the army to protect him. Then he came to Indore and Ujjain. There he was given a warm welcome by the commander-in-chief of Maharaja Holkar, Tatya Saheb. Finally, he came to Surat. He was very kind towards the seekers of Ilm and made sure that they were well looked after. The memorial(Qubbah) to Syedi Fakhruddin Shahid(QS) (Galiyakot) and the Qubba Ezziya were constructed during his golden era. The Qubba of Syedna Hatim(RA) was constructed by non-mumineen in Yemen, and was destroyed the next day. This kept occuring until the mumineen advised them that if 'Haq na Saheb'(Dai) will build the Qubba, will it remain. 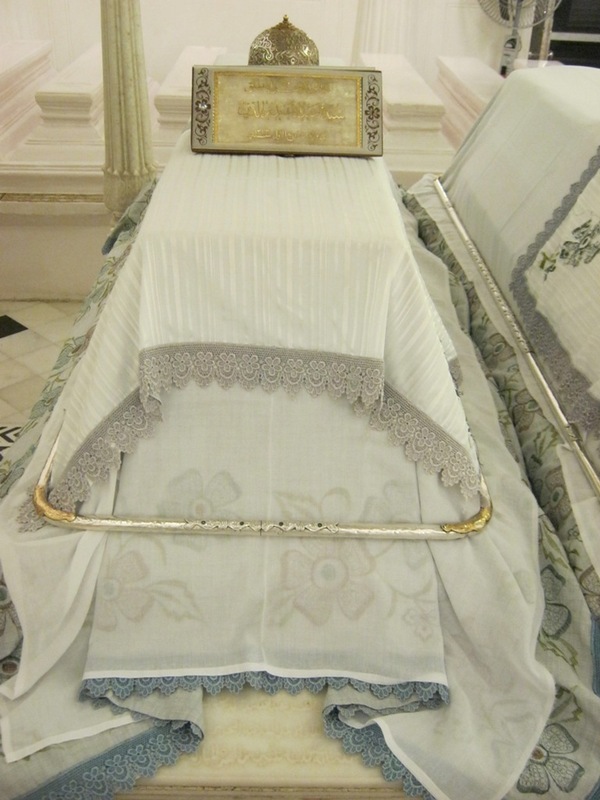 Then Syedna Taiyib Zainuddin built the Qubba of Syedna Hatim(RA). He did nass on 46th Dai, Syedna Mohammed Badruddin(RA) on the 11th of Zilqad . Date of Birth : 27th Rabi-ul-Akhar 1226 H. - 1811 AD. Date of Wafaat : 29th Jamad-ul-Akhar 1256 H. - 1840 AD. Syedna Abdeali Saifuddin(RA) thanked Allah Subhanahu on the birth of Syedna Mohammed Badruddin(RA).He wrote a 'Qasida'(Islamic poem imparting a message) - Ilm na Moti Jaro in which he mentioned about the Mansus and advised Syedna(RA) to bow down before him. At a tender age of 4, his father Syedna Abdeali Saifuddin(RA) passed away, and when he was only 7 years old, Syedna Mohammed Ezuddin(RA) passed away. Syedna Taiyib Zainuddin(RA) then took care of him. Syedna Abdul Qader Najmuddin(RA) and he studied under Syedi Abdeali Imamuddin(QS). During the Ashara Waaz, Syedna Tayeb Zainuddin(RA) did nass on him. He succeeded as Dai at the age of 26 years. Once, there was a massive fire, in which several houses were burnt down. Syedna AbdulQadir Najmuddin(RA) struggled hard to save the books of Dawat. 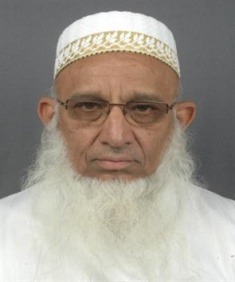 Syedna Badruddin(RA) migrated to Pune and sent Syedna AbdulQader Najmuddin(RA) to rebuild the houses that were burnt down. On the 27th of Zilqad 1253 H, Syedna Abdul Qadir Najmuddin(RA) laid the foundation of Dars-e-Saify. During the Ashara Mubaraka of 1253 H in Pune on 9th Muharram, Syedna Mohammed Badruddin(RA) did nass on Syedna AbdulQader Najmuddin(RA). In 1256H, During the Ashara Mubaraka in Surat, again he declared nass. After that he frequently announced that Syedna AbdulQadir(RA) would be the next Dai. Date of Birth : 24th Ramazan 1256 H. - 1840 AD. Wafaat : 27th Zilqad 1323 H. - 1906 AD. In the year 1272H, he was conferred Hadiyat and laqab of Burhanuddin on Ashura. Syedna Najmuddin(RA) prepared him to undertake the responsibilities of being Dai. Syedna Najmuddin(RA) made him Rasul Hudud. Syedna Husamuddin(RA) appointed him as Mukasir and he was Wali of Mumbai. After performing nass on him, Syedna Husamuddin(RA) passed away in Ahmedabad. Syedna Burhanuddin(RA) was in Bombay and couldn't go to Ahmedabad at the time due to heavy rains. 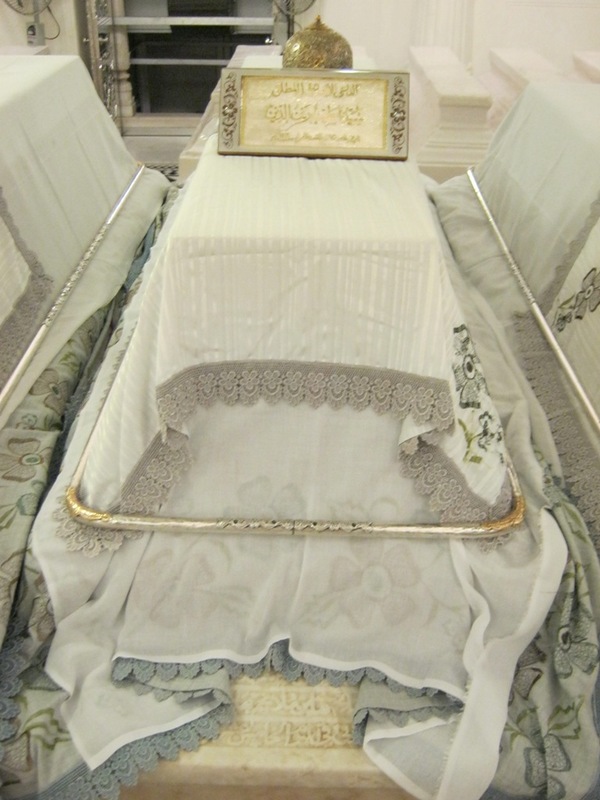 Syedna Burhanuddin(RA) was Dai for 15 years. 5 years were of intense hardship, in which the debts of Dawat were settled. The next five years, he regularised and organised the working of the order and for the next five, he ensured that Dawat was safe and the banner of Dawat was raised aloft in all directions . He constructed many 'Masajid' (Mosques), 'Madrasah' (Schools to impart religous education) and 'Musafirkhanas'(Place for travellers to stay). He also instituted the rasm of providing meals to 'Zuwwar' (travellers) at the places of Ziyaarat. In 1320H, he went to Kerbala. 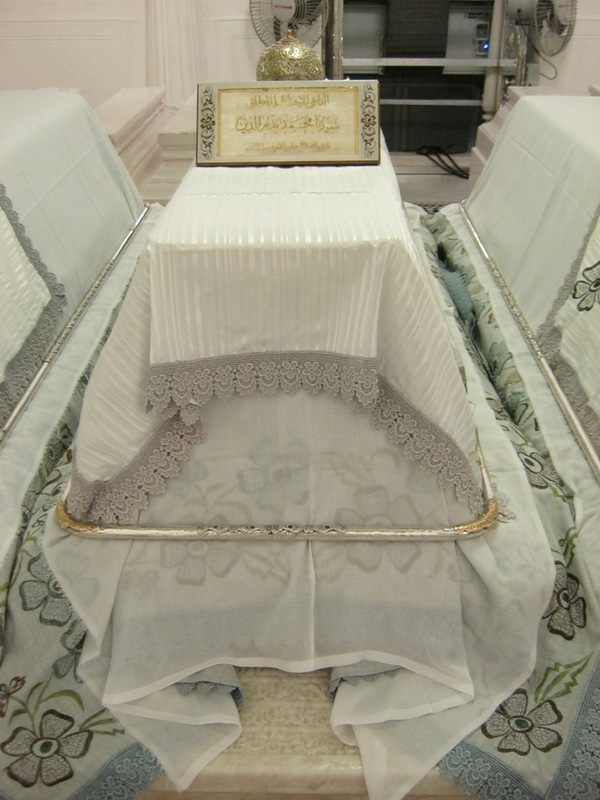 His wife, Amatullah Aaisaheba was expecting Syedna Taher Saifuddin(RA). He asked her to gather the barakat of Imam Husain's zarih for the unborn child by touching her stomach to the Zarih. In 1321 H, he went for Haj and arrived at the Ka'aba on 29th Zilqad. The King of Hijaz, gave him a warm welcome and a ceremonial procession was taken out in Mina , where everyone was amazed at the radiance emanating from Syedna(RA), just like an angel. In 1323, his health deteriorated and on the 11th of Zilhaj, he conferred nass upon Syedna Abdullah Badruddin(RA) and passed away. Birth : 18th Rajab 1262 H. - 1846 AD. Wafaat : 10 Rabi-ul-Awal 1333H. - 1915 AD. Syedna Abdullah's(RA) radiance spread in full glory like that of the full moon. He did khidmat of Syedna Najmuddin(RA), Syedna Husamuddin(RA) and Syedna Burhanuddin(RA). Syedna Najmuddin(RA) was very kind towards him and Syedi Abdeali Imamuddin. He strived a lot during, his father, Syedna Abdulhusein Husamuddin's(RA) time and worked hard to pay off the debts during Syedna Mohammed Burhanuddin's(RA) time. He built many masjids and reconstructed Dar- us-Saifee(Al-Jamea-Tus-Saifiyah).